Luminaries like New Museum curator Lauren Cornell and Internet artist Rafael Rozendaal were in attendance for an event organized in conjunction with the launch of Rhizome’s Net Art Anthology, an online exhibition which, in the organization’s words, hopes to “retell the story of Net Art.” The Anthology commemorates the 20th anniversary of Rhizome as a proponent and archive of Internet-based art practices and is funded by the Carl & Marilynn Thoma Art Foundation. Michael Connor, Rhizome’s artistic director, introduced the Archive in which 100 Net-Based artworks will premiere, one a week, for two years. Mr. Connor’s introduction to the exhibition was accompanied by short talks by Aria Dean, assistant curator of Net Art and Dragan Espenschied, preservation director. The panel consisted of artists who were involved in the early establishment of the field of Net Art in the 1990s: Olia Lialina (net artist and Geocities researcher/archivist), Martha Wilson (artist and founder of Franklin Furnace), Ricardo Dominguez (artist and founder of Electronic Disturbance Theater), and Mark Tribe (artist and founder of Rhizome). 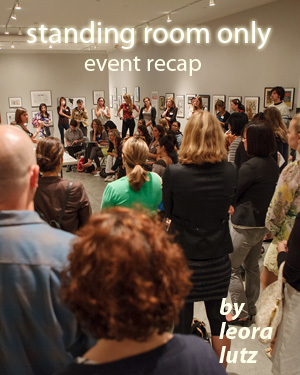 Each artist discussed their early online work as artists, curators, and organizers. As well as some of the major issues faced and addressed by the organization and the world of Internet-based art, as a whole. Mark Tribe remarked upon the fact that in the face of the Internet’s global reach, Rhizome’s New York-centricity was a problem. He noted that focusing on New York alone leads to, as he terms it, “navel gazing. In order to combat that myopia, Tribe described the site’s efforts to employ regional editors to chronicle the scenes in other cities. Martha Wilson noted that New York has always been a center for art and culture and that it was no surprise that Rhizome’s coverage and reach would reflect its status as such. Ricardo Dominguez noted that Rhizome networks were broad, including cities like Vienna, Berlin, and Amsterdam, he noted the “teleportation” of the body that is facilitated by the broad reaching networks of the Internet. On Net Art’s relation to the avant-garde, Mark Tribe noted that like video art critiqued dominant forms like television, so Net Art can serve as a critique of the privatization of public space. 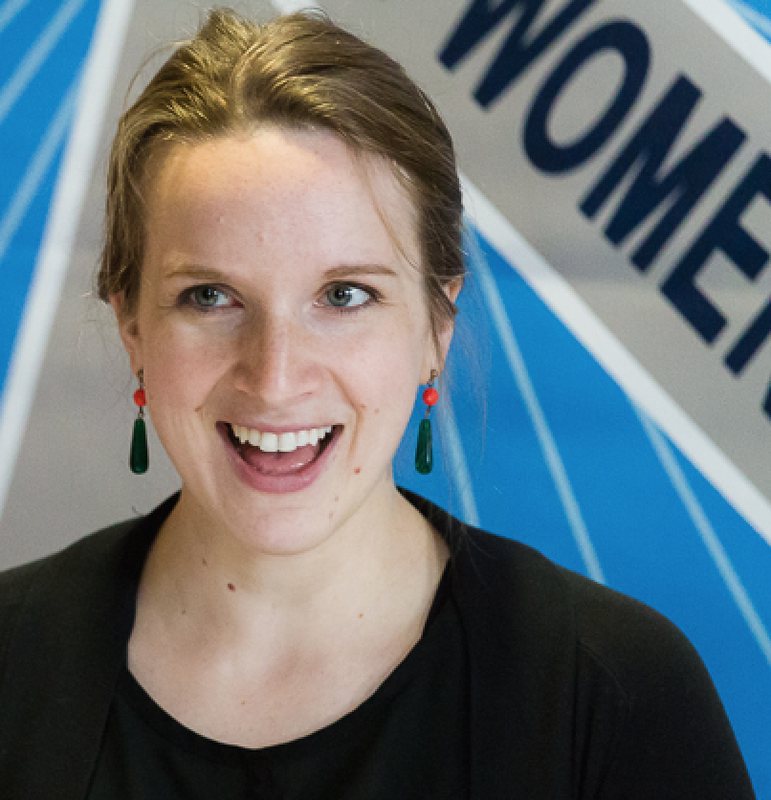 Olia Lialina noted that as a Russian artist, connecting with people abroad was an invaluable value offered to her as an Internet-based artist. She savored the fact that orders could be virtually crossed via the electronic superhighway. Mark Tribe dismissed the notion that after After Modernism, art could explore no new avenues. 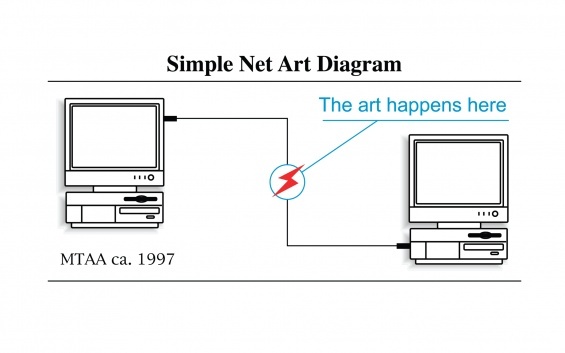 The Internet opened new ways of making and thinking about art, according to the Rhizome founder. The Rhizome founder also explained that the sense of excitement he felt when starting Rhizome in the mid-nineties is hard to recall. He noted that there was a sense of stepping across a threshold and into new frontier — much like the television show, “Star Trek,” he joked, eliciting laughter from the lively and engaged audience. 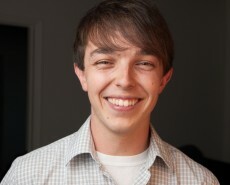 Tim Roseborough, author of the artworldgeek.com blog. 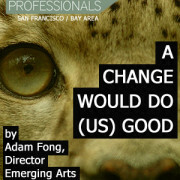 What are the most challenging problems facing the arts sector in the Bay Area? And what can our arts network do to tackle them? For 3 years the EAP Fellowship Program has asked these questions, each year gathering a diverse cohort of artists, advocates, and arts leaders to answer them collectively. 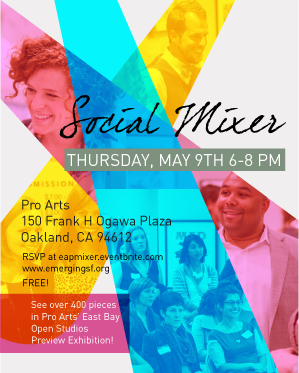 Over the course of 9 months, the EAP Fellows engage in both dialogue and action, intended to simultaneously build their professional skills and advance the Bay Area’s arts and culture sector as a whole. 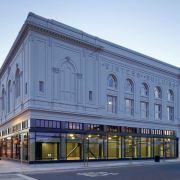 Open Systems: What is the relationship between an arts organization, its mission achievement/impact, and its social and environmental context? 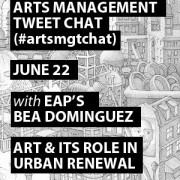 With an increasing number of artists and arts organizations engaged in work promoting social justice, equity, and resolution of racial and socioeconomic conflicts, EAP is creating space for dialogue on cultural policies and systems that are open, responsive, transparent, and accountable. Networked Approaches: Thanks in large part to new web-based tools, more arts organizations are realizing the power of networks, and rethinking how “network” and “community” relate to the purpose of their organization. EAP seeks to identify and share best practices, and collectively discover what styles of leadership are required to work in a networked way. 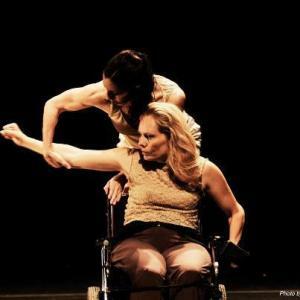 Regenerative Practices: With an under-resourced field like the arts, questions of sustainability are always paramount in the minds of arts leaders. The stress is felt not only by organizations, but by the individuals who work for and support them. 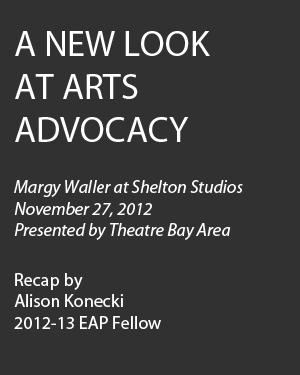 EAP seeks to renew the energy and passion that drives people into the sector, and at the same time identify programs and practices that will encourage a healthier arts ecosystem. Research & Development: Historically under-served, R & D activities in the arts include support for new forms, support for inquiry-based (rather than outcome-based) work, and promotion of innovative arts management practices and structures. As a new wave of innovators, investigators and entrepreneurs emerges, EAP seeks to advance an ecosystem that supports and values research and development in the arts. 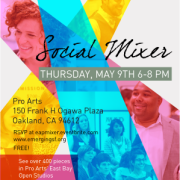 The EAP Fellowship’s heady mix of dynamic conversation and learning-by-doing is a unique offering, strengthened by the organization’s position as a network- and community-builder for the San Francisco Bay Area’s arts scene. The work of the Fellows, realized through public panel discussions, small group meetups and forums, publishing, and other engagement efforts, will be realized over the course of the year. 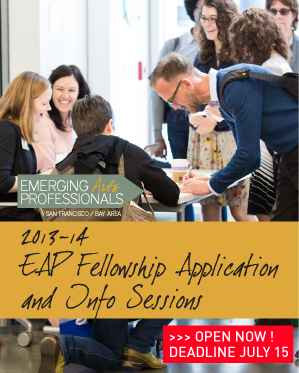 The Fellowship will culminate in Emergence, the EAP annual convening and one-day conference, on Monday, June 2, 2014 in San Francisco. Interested applicants are encouraged to apply by July 15. 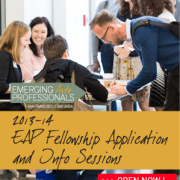 The EAP Fellowship Program was redesigned, with feedback from past participants, by the 2012-13 EAP Leadership Team: Chida Chaemchaeng (Leadership 2009-13), Bea Dominguez (Fellow 2010-11, Leadership 2011-13), Michael DeLong (Fellow 2011-12, Leadership 2012-current), Adam Fong (co-founder, Leadership 2009-11, Director 2011-current), Virginia Reynolds (Fellow 2011-12, Leadership 2012-current), and Ernesto Sopprani (Fellow 2010-11, Leadership 2011-current). Success as we know it? It has so many definitions and variables, it’s difficult to know where to begin. The view of success can change each time a new event happens, each time new feedback is given, each time an idea is scrapped before it even makes its way to the stage. On the other hand, the view of success also changes once that email comes in with a life-changing sentiment, a production is able to continue to bring in guest artists because of record-breaking ticket sales, or the program that was a huge risk turned out to be the most popular Friday night since DIY became a household term. As success is a measurable aspect of the art business that supports the future of museum and performing arts, and as we are still in a time of talking about the precarious “economic climate,” the topic of success will invariably be a never-ending discussion. With all of its myriad definitions, success is contingent upon measurable results but, more important, it is dependent on fulfilling the mission and artistic vision of the organization. Success becomes a manner of ownership, not just opinion, as each individual curator, performer, museum-goer, educator, administrator (and so on) only furthers the complexity of what success means to them and to the organizations they work for or support in other ways. Success is something shared and felt. It is something that vibrates and generates a magnetic energy. Trust whomever you are working with has something to offer. Set your visions and voices at a high concept denominator — the lowest common denominator is not a worthy or engaging standard. Build credibility so you can “trade” it up later. Be true to your mission (and rewrite that mission whenever necessary). Failure seems to be a buzzword that has been, well, buzzing around lately. It’s all I’ve heard since I arrived a year ago to the Bay Area. There seems to be an acceptance of failure in ways that almost mimic apology. It’s as if people are reveling in the failure/success paradigm whose benefit is perhaps a form of acceptance of the unattained. Is this counter-productive? Gregory Stock, museum educator at Fine Arts Museums of San Francisco, reminds the audience that the inherent benefit of failure is to rise to the surface. I would posit that being in a place of discomfort, and maybe even failure, are places where the real risk can take place, where fresh ideas can happen. Annie Phillips, public relations assistant at the San Francisco Symphony and manager of Magik*Magik Orchestra, noted that failure is an opportunity to reassess and do things better the next time. But as ODC‘s director of institutional giving Brian Wiedenmeier notes, the opposite sometimes happens: “focused on success to the exclusion of failure.” At what cost? “Everybody has sucked every now and then and we just don’t talk about it,” Wiedenmeier quips. Rob Ready, marketing manager at ODC and co-founder of PianoFight, explained that failure is embarrassing but also humbling to talk about because it gets people to value what they do and to be more focused on putting their money where it matters. Without a doubt, the ubiquitous bottom line is a point of constant concern. “The art world is afraid of money and this is a bad thing,” claims Stock and, in many ways, I would have to agree. It seems to be an unspoken need that is supposedly overshadowed by altruism. And so the success plot thickens even more. To use the proverbial bottom line again, art institutions and artists need program funding and monetary compensation to survive. In many ways, survival and longevity are forms of success. Measuring this success requires malleability for new media outlets and maintaining the more tried and true forms of communication also. Jenna Glass, associate director of marketing at ODC, had some sound tips. Have a dynamic and interactive web presence that you monitor and update regularly. Involve yourself in social media in ways that are generative to the current programs. Be nimble and try new strategies. Know your audience (we say this all the time!) and develop niche strategies within the larger organization to build new audiences. With that, sometimes the niche will grow into the new mission, or be a supplemental program that can help fund the other important projects. I would add, as learned from a previous blog post about place-making: talk to people, survey and chat with your audience, share your ideas with others so you can build a critical mass of ideas. Imagine the impact if several institutions were propelling similar ideas at the same time! Timothy Anglin Burgard, Ednah Root Curator in Charge of American Art for the Fine Arts Museums of San Francisco, shared an inspiring, passionate, and articulate speech challenging the audience to take a more political position and to confront mediocrity with their practice. Museums owe it to the community to fuel ideas that generate new, valuable thought and change in the community. As so many of us are “preaching to the converted,” as Burgard stated, it is important to look beyond our comfort zones and to be in opposition to what we are used to. I would say that would apply well to anyone: as visitors to museums and each other’s projects to discussing programming ideas for future exhibitions and performances to sitting in board meetings. Meaningful experiences are paramount to success, and everyone would benefit from a greater understanding of how to define ideas of what is meaningful to an institution and in their own personal practice. As a ________ I am ________ . When I work in ________ I need to have ________ and ________. As self-affirming as it may seem, it is perhaps not something that we plainly say on a regular basis. And perhaps perhaps even more elementary, it can be a way of understanding others if put in the form of a question. Now more than ever as artists and arts workers are being asked to wear multiple hats, new meanings for success need to be created. What seems to be at the crux of success is “the push”: push the programming and ultimately push boundaries aside and push expectations. From the grandiose to humble, success has the potential for greatness. 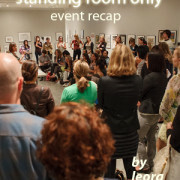 Leora Lutz (http://www.leoralutz.com/index.html) is an exhibiting, interdisciplinary artist with a professional history as a writer, gallerist and art administrator. All aspects of her practice grab onto historical context, alters it, and re-presents it as a way to shift previous understanding into flux. Her work has shown at galleries, institutions and museums, including MOCA LA, Palm Springs Museum of Art, The Wattis Institute for Contemporary Art, Riverside Art Museum and the Henry Project Space in Seattle. Her art and professional bibliography includes numerous critiques and profiles from The Los Angeles Times, NBC news, White Hot Magazine and LA Weekly to name a few. Changing jobs can be painful, but it might just be a service to the field. 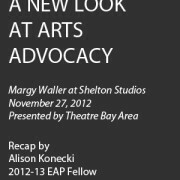 At Grants for the Arts’ 2011 Fall Public Meeting on Leadership Issues in the Arts, Marc Vogl hit on why staff changes, particularly in leadership, are so delicate. Often the potential fallout from changing jobs can be the most powerful deterrent, whether it’s you, your colleagues, or your constituents who will bear the burden of transition. If, like me, you work in a small organization, your departure will force everyone else to adapt, and your hard-working colleagues will need to expend extra energy to integrate a new team member. You’re not alone if you fear that the added stress could put your organization at risk, as well as jeopardize your own career. Put people (especially leaders nearing retirement) who want to leave in a good position to do so. Stop demanding leadership candidates meet the complete (and “ridiculous”) list of requirements that is often given in job descriptions. Increase appreciation for transferable skills from other roles and sectors. Be willing to fail, to fail faster, and to learn from failures. Among the greatest hurdles to these changes is the underlying assumption that the field as a whole cannot grow. When there is no job growth, or when there is a recession as in 2009, we all feel trapped. Employment becomes a zero-sum game; risks become taboo. And worse, those who are already out of work have few avenues in. In that worldview, organizational change and growth are nearly impossible. The nonprofit sector has, unsurprisingly, followed the larger trend since the 2008 crash: people who do have jobs are keeping them, and the percentage of voluntary departures has dipped steeply. It’s down from 12.5 percent in 2008 to 10.4 percent in 2009, and receding below 10 percent in both nonprofit and all industries by 2010. In other words, if you work in an organization of ten employees, on average you had one person leave last year. And — if we pretend for a moment that these figures also apply to small organizations in the nonprofit arts sector — in an organization of five employees, only one staff member has changed in the last two years. Last fall the “rate of change” and our collective ability to “adapt” were hot topics. But if we’ve only welcomed one new voice to our team in the last two years, how fast can we really be expected to adapt? More food for thought: In 2011, the industries with the highest voluntary turnover were hospitality, healthcare, and banking and finance. Can you guess which industries had the most growth? 1. Changing jobs give you a broader base of experience. 2. A more varied background creates a greater demand for your skills. 3. A job change results in an accelerated promotion cycle. 4. More responsibility leads to greater earning power. Not counting my grad school hiatus and part-time gigs, I am leaving job number two after seven years in the nonprofit arts sector. So is this why I’m leaving? To get broader experience, to become marketable to more companies, to get a promotion, and rake in the cash with my new-found “earning power”? But what if we replace the market-speak with mission-based alternatives? Put this way, YES, it’s why I’m leaving. 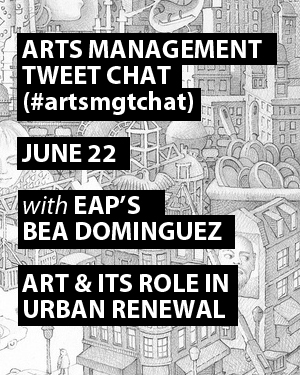 I do want more knowledge and capacity, and opportunities to creatively impact the sector (in my case specifically, contemporary music). Transitions will always be tricky, even with open communication and a well-executed hand-off. But if, like me, you want to maximize your impact (née earning power) and help the arts sector grow, changing jobs might just be a service to the field.